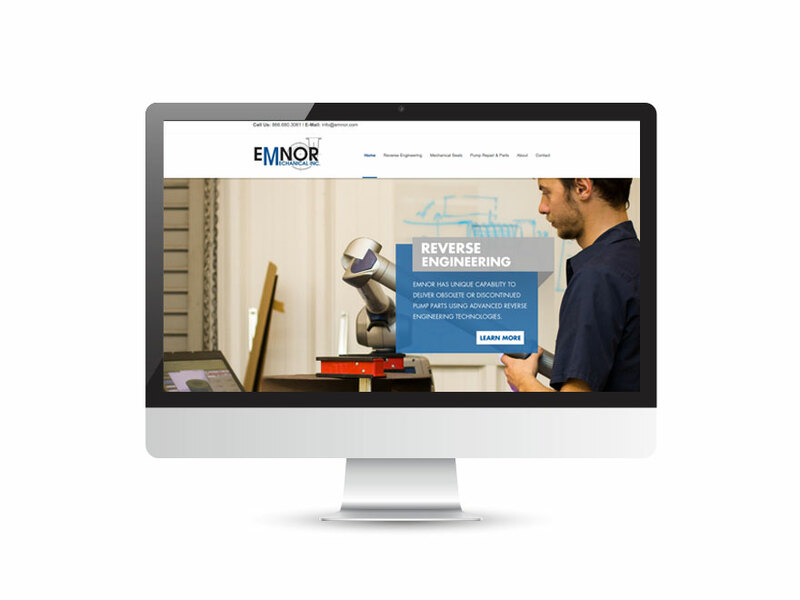 Enmor Mechanical Inc. is a service that remakes pump parts and valves. 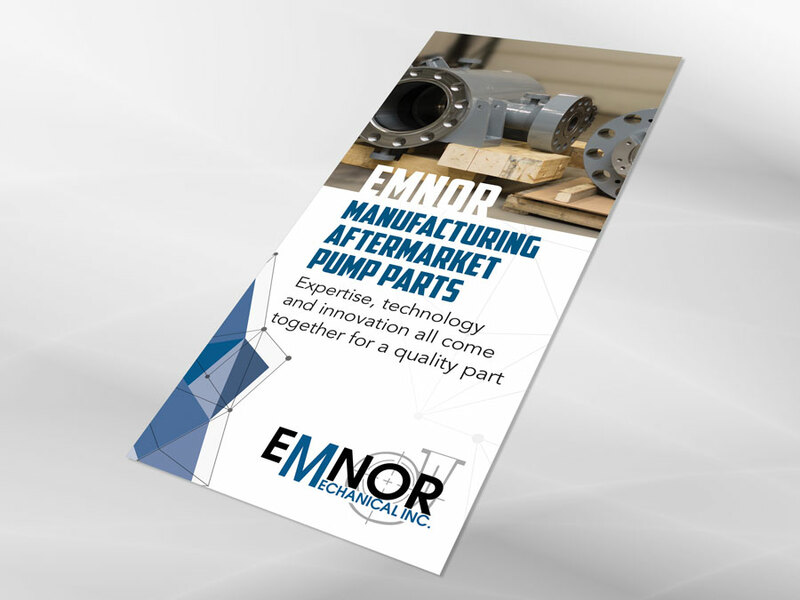 Enmor has been in business for 30 years and deals with all sizes of pump parts. 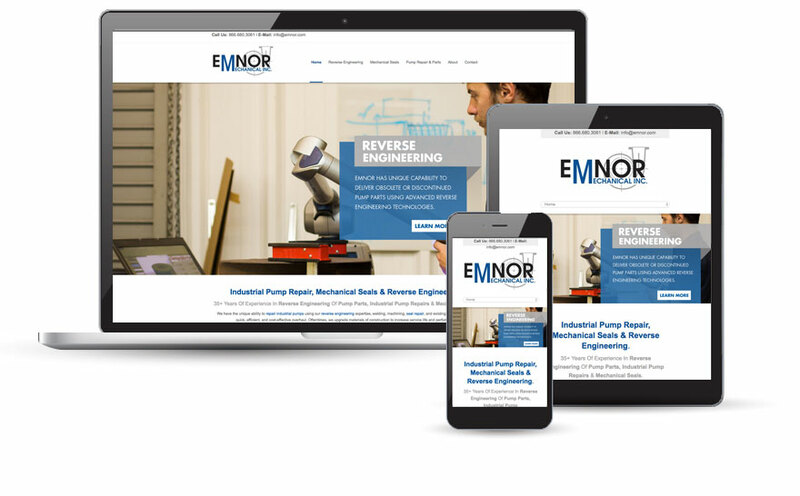 Like most industrial companies, Enmor has not updated their website or informational materials in years. This made the business look outdated and not engaging to potential clients. The website needed a complete overhaul into a WordPress theme and a modern look, along with updated photography. 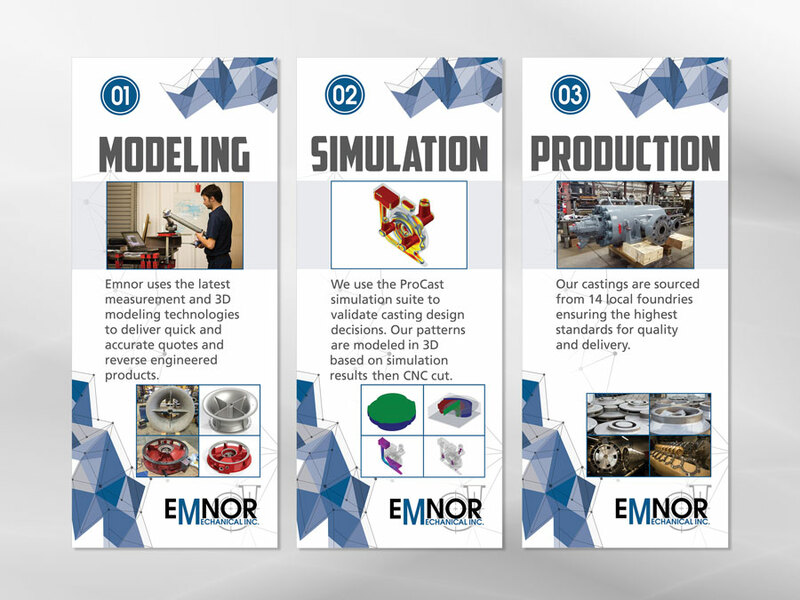 The nature of this type of business is such that Enmor goes to trade shows throughout the year. 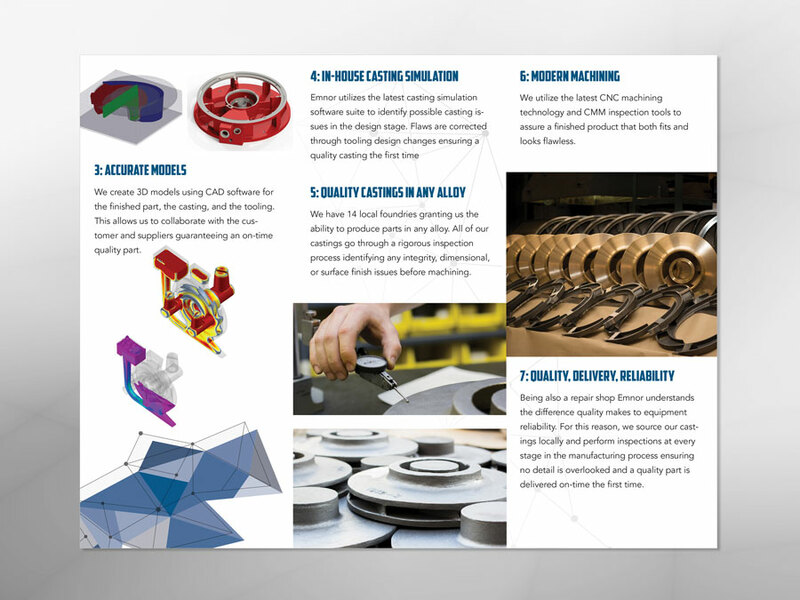 This meant they needed new banners with the new look and brochures showing the services provided by Enmor.